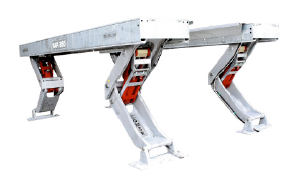 LEVEL AT ANY HEIGHT - CAPACITIES 12,000 LB. 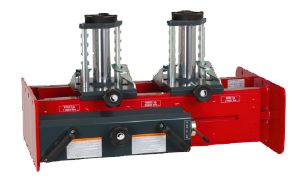 (5.5T) TO 99,000 LB. 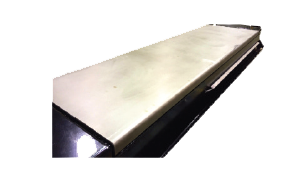 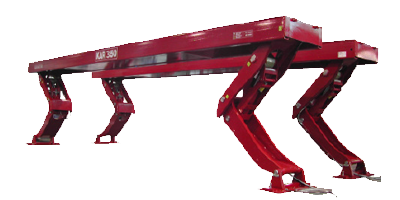 (45T) - UP TO 48’(14.5M) LONG. 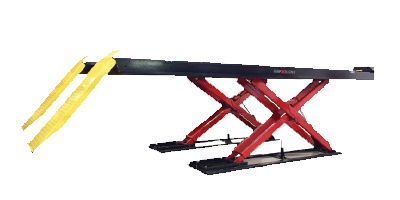 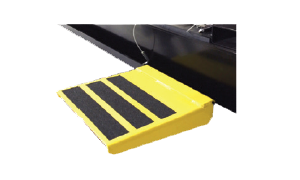 Scissor alignment lifts take up less space (only 91 1/2” (2324mm) wide. 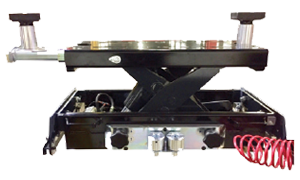 With no cables or pulleys there is less maintenance and a longer cycle life. 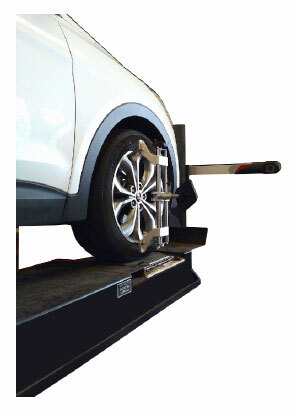 With no runway tie bars there are no obstructions front or rear to interfere with alignment work. 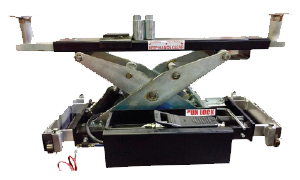 Open front alignment lifts provide obstruction free access to front end parts an affordable price. 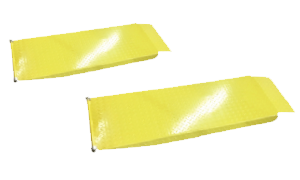 Ideal for cars and light trucks with runways up to 237” (6M) long. 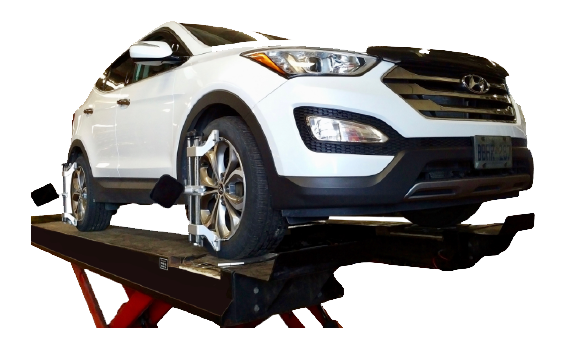 An excellent multi purpose and durable alignment lift. 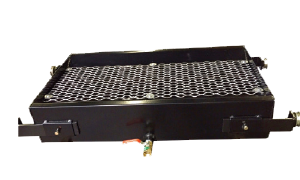 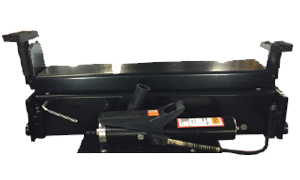 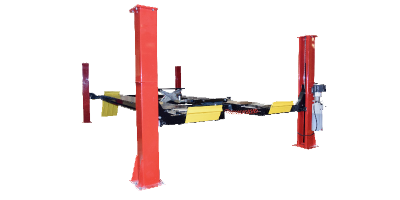 Conventional four post design provides an ideal multi purpose alignment platform for light and medium duty vehicles up to 35,000 lb (15.0T) capacity.Affordable structurally strong design. 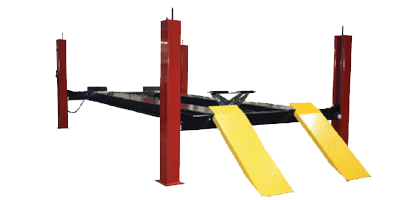 Heavy duty commerical applications for trucks and buses up to 99,000 lb. 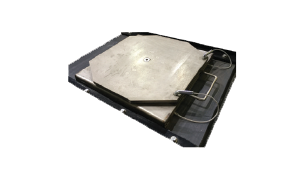 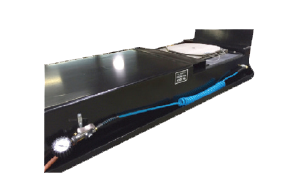 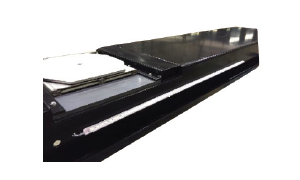 (45T) with wheel bases 20’ (6M) to 48’ (14.5M) Wheel alignment can be added with a bolt on runway extension that incorporates recessed radius plate pockets.